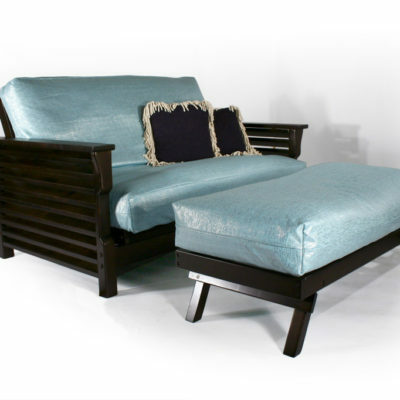 Ships in 48 Hours Via Fed Ex! 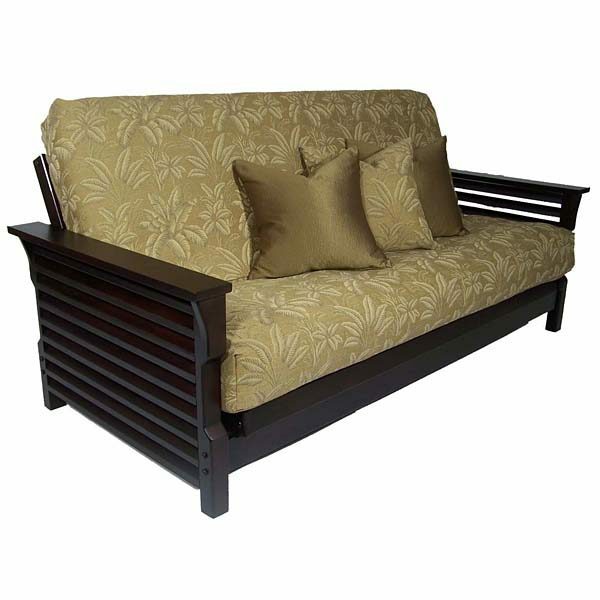 This Set Package comes with the Futon Cover Sewn onto the mattress! 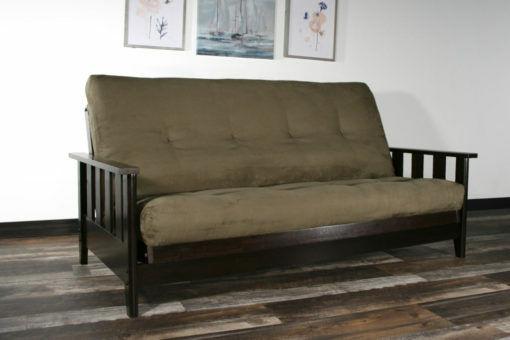 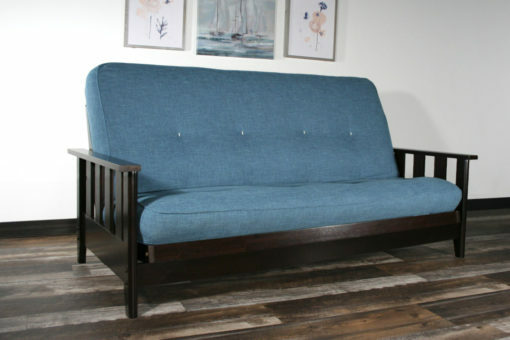 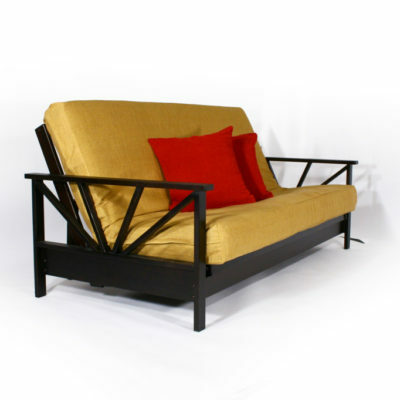 Based on classic craftsman designs, our Canby Futon frame utilizes our Wall Hugger™ technology that allows you to easily convert our futon frames from sofa to bed without moving the furniture away from the wall. Made from Plantation grown rubber wood this strong durable frame with two finish options will add style and versatility to any room. 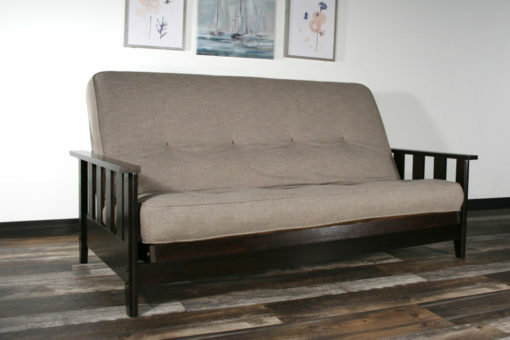 The Canby like all Strata frames, utilizes our Wall Hugger™ technology.